find the avatars you want to use. They can be the same or all different, it's your choice! 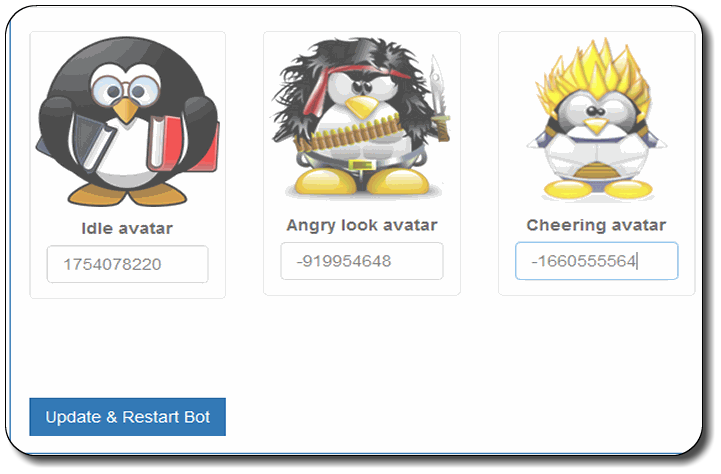 Once you have decided on the avatars you need to wear each one in front of your bot and then get the PID (PropID). You can do this by typing propid (if you have the script in your cyborg) or go to a prop room and click on PIDs to get each propid as you wear them. You will find the PID for each avatar in your log. click on Manage bots and paste the PID into the appropriate emotion boxes. ( ie: Idle avatar, Angry look avatar, Cheering avatar etc. ) 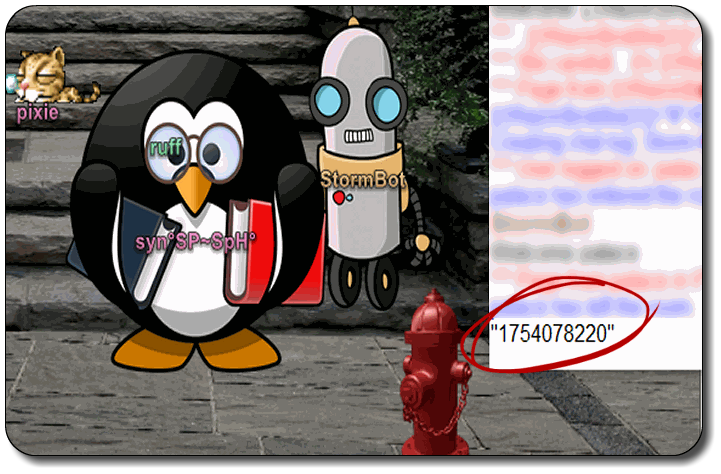 Once you have all your PIDs added, click Update & Restart Bot The Sad Avatar is not yet operational but still needs a number, add the number 1 or 2 to avoid an error. Do Not add quotation marks or brackets when adding your PIDS. Great Selection of BotSkins for Everyone! 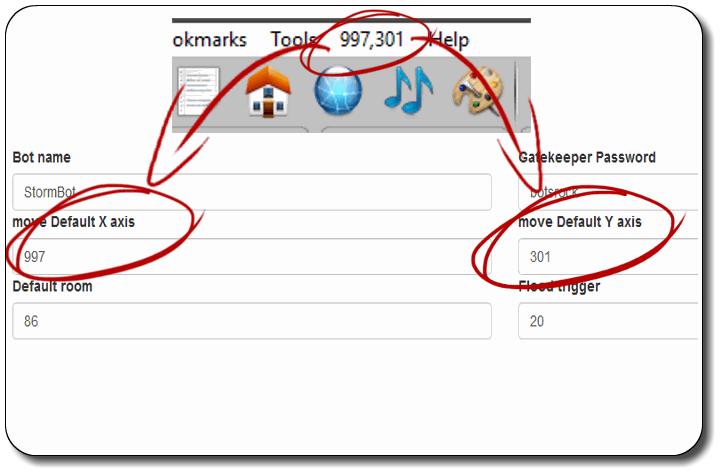 - Click on GateKeeper to easily add or delete members without having to restart your palace. - Click on Banlist to view bans as well as add or remove them easily without having to restart your palace. - Click Timeline to see whose been to your palace. - Bot is allowed to speak - it's your choice whether you allow your bot to speak or be muted. Keep in mind if your bot can't speak it won't be able to greet or play games. - Bad IP reputation action - Using advanced IP reputation algorithms, your bot will determine whether your visitor is possibly harmful or not. The bot will log or kill for 5 minutes, depending on your preference. - Invalid regcode action - If a regcode does not meet the validation check, the bot will take whatever action is configured by the owner.